We are currently looking for a new employee, so if you or someone you know will be a good fit, contact us! We are looking for a key player who can eventually manage jobs on their own. The candidate must have a strong work ethic, positive attitude, and experience working in the tree care industry. The ability to climb trees would be a plus. 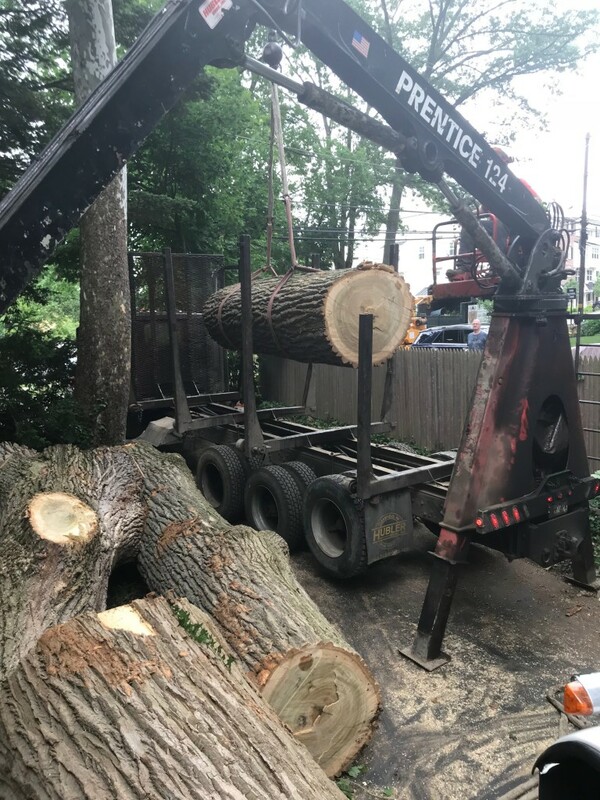 Must be able to operate tree equipment, including chainsaws, chippers, stump grinders, skid steers, and mini skidsteers. Must be able to pay attention and follow instructions. Must be willing to take on responsibility to help grow the business. Must be able to work in a safe and efficient manner. Must have the ability or willingness to learn how to run a bucket truck. Depending on ability and performance, the wage will be between $20 and $35 per hour. If you think you’d be a good fit for this position, contact Mike Rupnicki. During the summer, you are at a unique advantage to check the health of your trees. Since the leaves are in full bloom, it’s usually pretty obvious which branches are unhealthy. Don’t miss your chance! Now that summer is winding down, take the opportunity to inspect your trees before the leaves start to change. Does Your Tree Need to be Pruned? Most tree pruning should occur during dormant times, but every now and then, a situation will arise when a summer pruning is necessary. If your tree has a diseased or damage branch, it should be removed for safety reasons and for the health of your tree. For your safety, this is a task best left to professionals. Are You Ready for Hurricane Season? Make sure your trees don’t have any loose branches. Weak branches may need to be cabled or braced at this time–hurricane season is about to arrive. If there’s a tree you’re unsure about, now is the time to consult a professional. Do You Have Any Tree Pests? Have any unwanted critters taken up residence in your trees? Many pests are active during the summer, such as: spotted lantern flies, gypsy moths, emerald ash borers, Japanese Beetles, and spider mites. Throughout the warmer months, periodically check your trees for signs. If you catch an infestation early, you have a better chance of controlling it and saving your tree. Also, watch out for mushrooms growing at the base of your tree, that’s a sign of decay. If you have any trees growing at an angle, it’s a good idea to inspect the area for signs of erosion. If you need assistance with your tree care, contact the team at Mr. Tree! 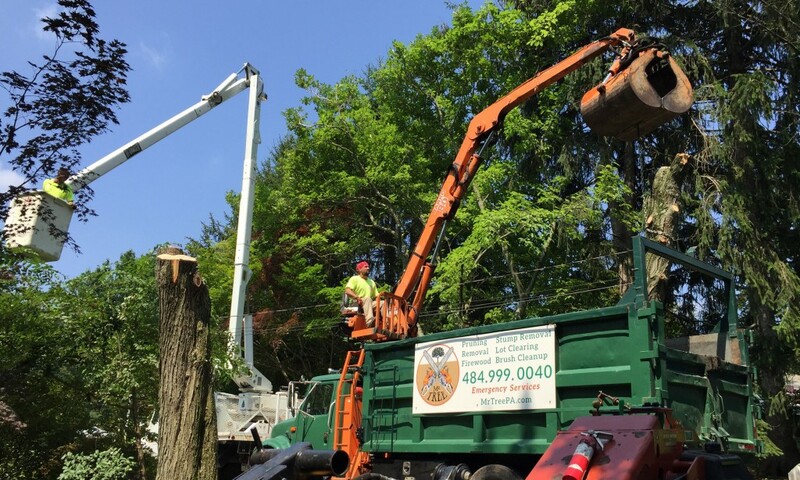 Mr. Tree is a full-service tree company serving Delaware, Chester, and New Castle Counties. 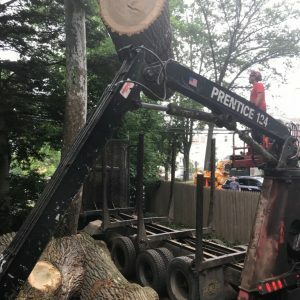 Services include removal, lot clearing, trimming, and 24/7 emergency clean-up. 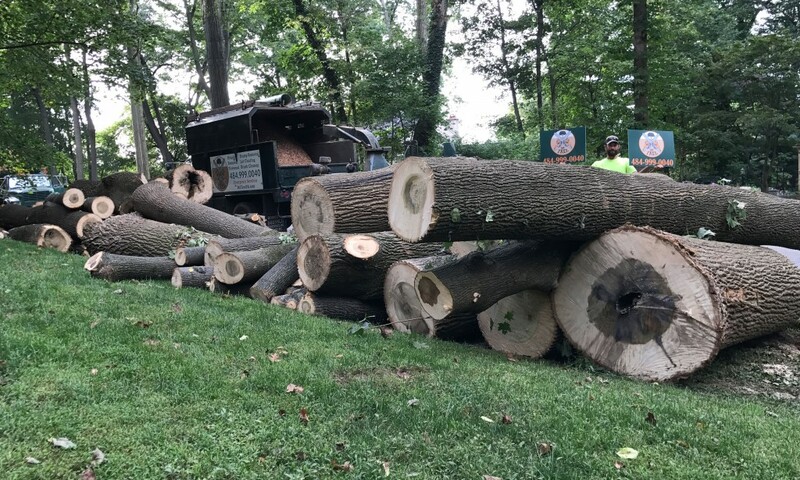 If you have a tree in your yard that you need taken down, the crew at Mr. Tree will be there, no matter how hot it is! To get started with our services, give us a call at (484) 999-0040 or contact us online. 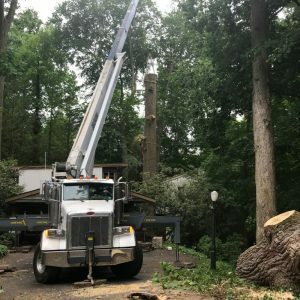 Mr. Tree is a tree company providing tree trimming, tree removal, and other tree services. We work in Chester, Delaware, and New Castle Counties. 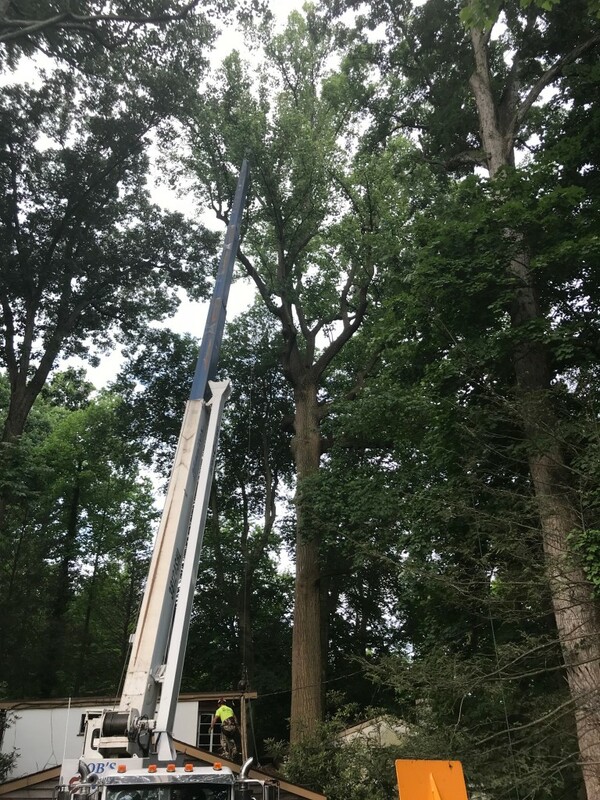 We recently removed a Poplar tree in Media, PA. Estimated to be more than 300 years old, this tree was absolutely enormous! Unfortunately, it needed to come down for safety reasons. The tree was growing up against the house, and according to an arborist report, the trunk was structurally compromised. 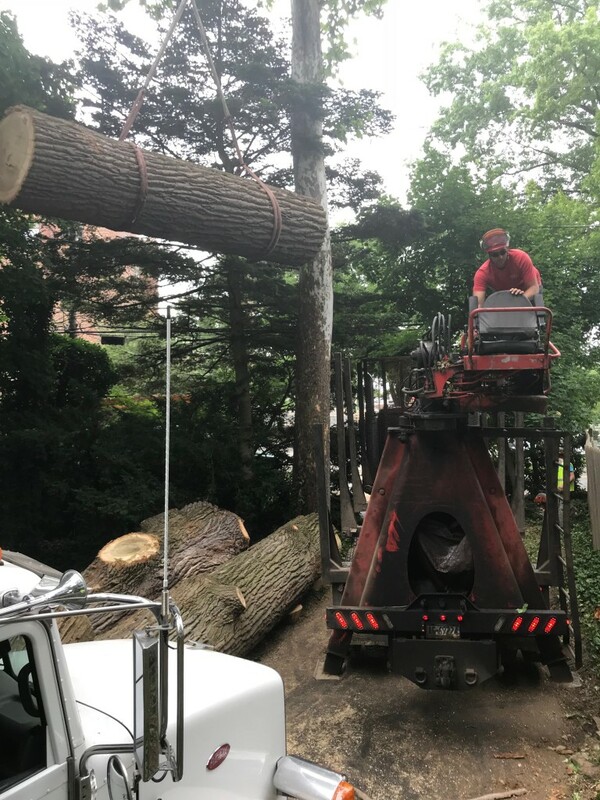 Click here to learn more about our large tree removal services. Get Started With Our Services Today! 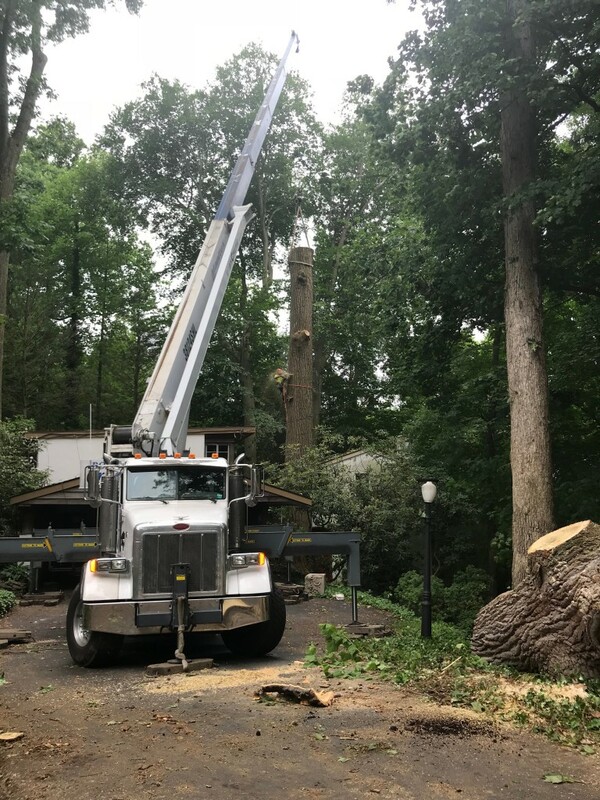 If you have a tree that needs to come down, contact Mr. Tree online or by calling (484) 999-0040. 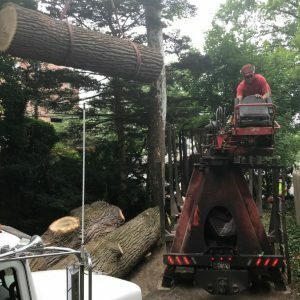 We also handle tree trimming and pruning, stump grinding, lot clearing, and emergency services. What is Black Knot Fungus? Black knot disease is a warty, black mass that appears on trees. It can be anywhere from an inch to a foot long. If the mass is older, it can take on a pinkish undertone caused by mold. It is most common in cherry and plum trees, but other fruit trees can also be infected. On rainy spring days, black knot fungus releases spores that travel on wind currents. If the spore lands on your cherry or plum tree, the spores can germinate, infecting the tree. 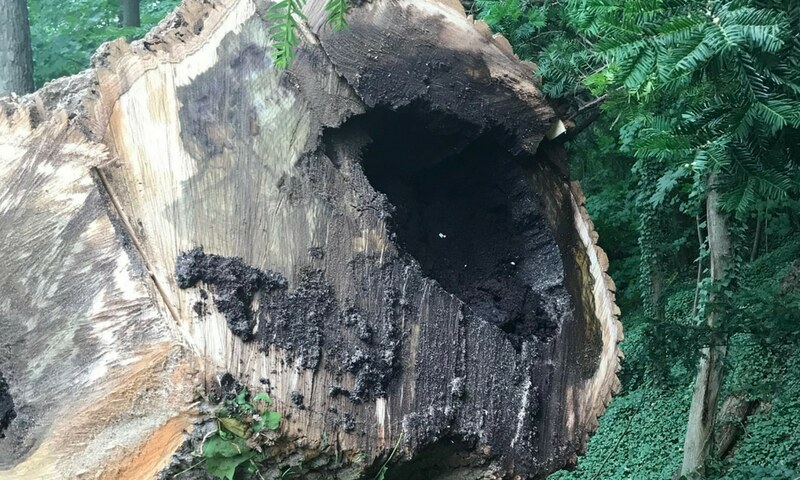 The hollow areas created by the black knot create a good habitat for insects and other pests, so you will want to avoid black fungus at all costs. A common way to treat black knot fungus is by spraying with fungicide, however, there is some debate over whether this is effective. The best way to treat black knot fungus is by pruning away the affected parts of the tree. 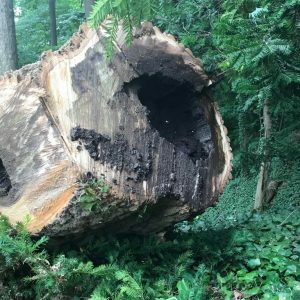 Since the fungus tends to burrow deep in the tree, this can be tricky, so treating black knot fungus is a task best left to the professionals. Gypsy moths are a forest pest that feeds on native trees. 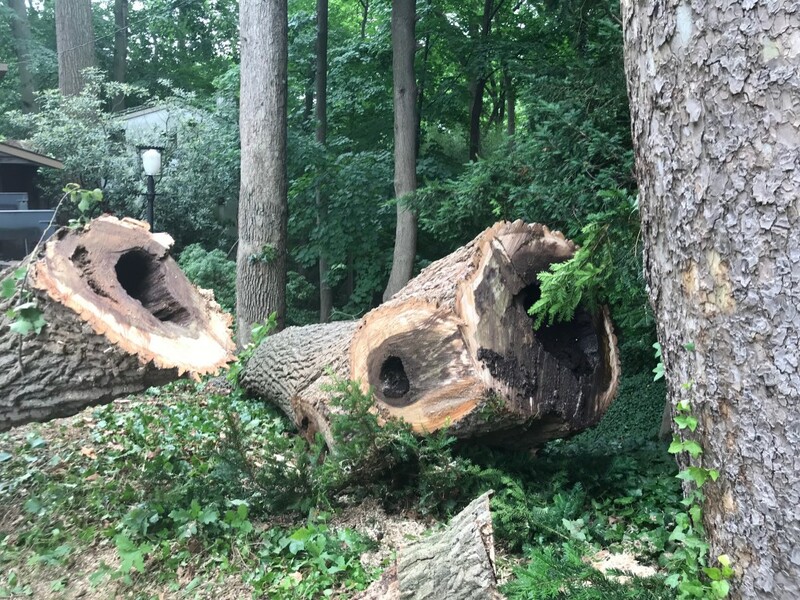 Since the 70’s, these caterpillars have been one of the main concerns facing trees in PA. The Pennsylvania Department of Conservation of Natural Resources (DCNR) issued a warning about Gypsy Moths. These caterpillars cause harm by total stripping a tree of its leaves, or defoiling a tree. Deciduous trees tend to be hardier, it usually takes more than one year of defoliation for them to die. However, a coniferous, or evergreen tree, will not likely survive long without needles. Throughout the summer and fall, keep your eyes open for egg masses. These are light tan masses that you may find on trees and other outdoor surfaces. females lay these eggs in late June and early July, and they hatch in late April and early May. Removing egg masses in your backyard is simple. It’s just a matter of manually removing the masses. It’s also a good idea to get rid of places where the eggs could be hiding like piles of wood or dead branches. Scrape the masses into a sealed container or bag for disposal. Another method is to wrap your tree in burlap. Larvae move down the tree during the day to hide at the base, so any existing larvae on the tree will get stuck in the burlap, and you can scrape them into a bucket of soapy water, which will kill them. 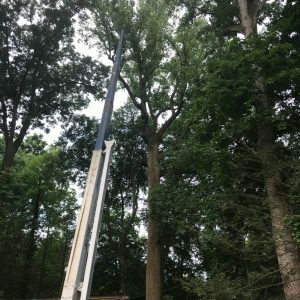 Mr. Tree is a full service tree company serving Delaware, Chester, and New Castle Counties. 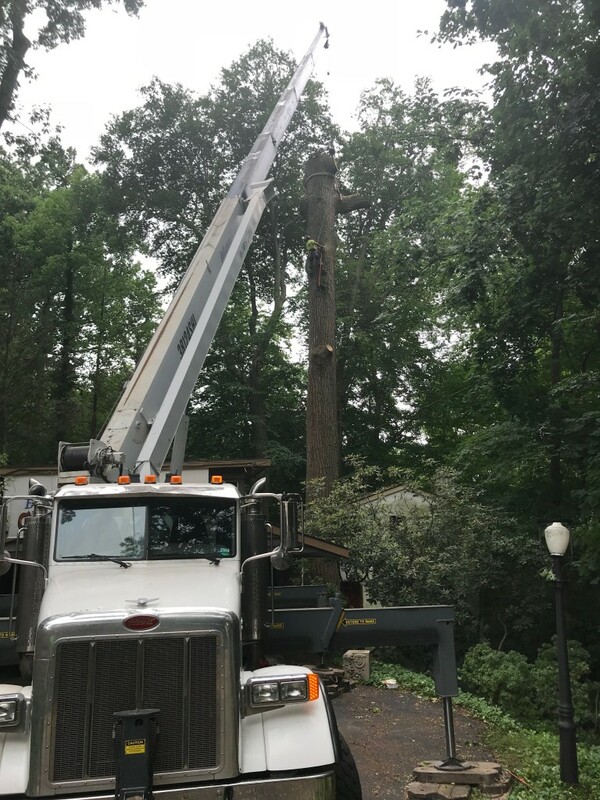 Our fast, reliable, and safe services include emergency services, tree removal, tree pruning, stump removal, and lot clearing. 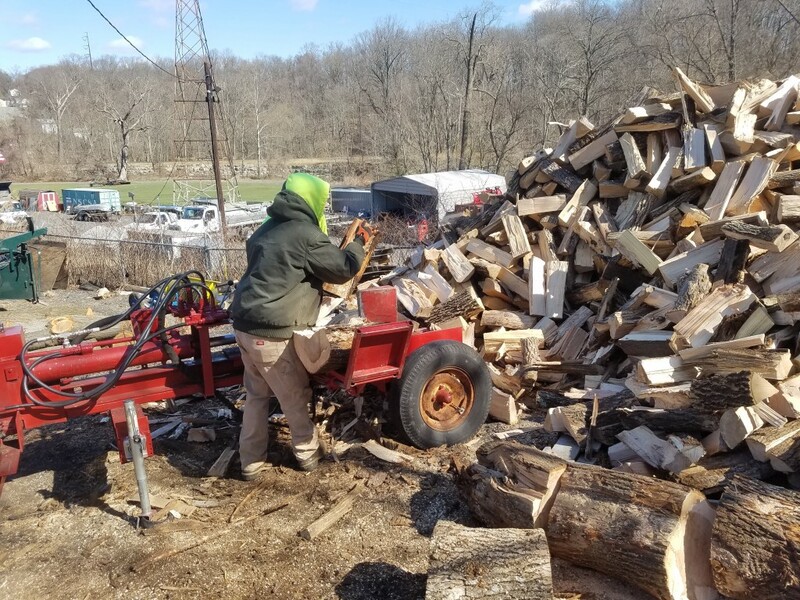 Firewood: One of the ways we process wood for use after a tree comes down is by cutting it up into smaller pieces that can be used for firewood or mulch. Check out this photo of us using our equipment to split logs for firewood. Wood Chips: Another method we commonly use to re-purpose trees after they are cut down is by making them into wood chips. We are often able to use the wood chips as mulch, which is the most common use for our trees. This bowl is made from an Ambrosia Maple. The markings are a result of ambrosia beetles who burrowed into the wood while the tree was alive. Furniture and Other Projects: High-quality logs go to the sawmill where they are turned into boards and become lumber. Some of our customers have used trees from their yard as materials for projects in their homes. One customer made hardwood floors with wood from an oak tree that was once in their yard, and another made a 10′ X 16′ X 6′ fireplace mantel out of a white oak that was removed to make space for an addition. There is also a new demand for certain types of maple logs. They have different grains, some are called tiger stripes and others wormy. These patterns occur when insects burrow into the wood while the tree is alive, resulting in designs that makes for interesting counter-tops and furniture. At Mr. Tree, we kick off our services with a free quote. To get yours, contact us online or call (484) 999-0040. Many trees make fantastic additions to Pennsylvania yards. 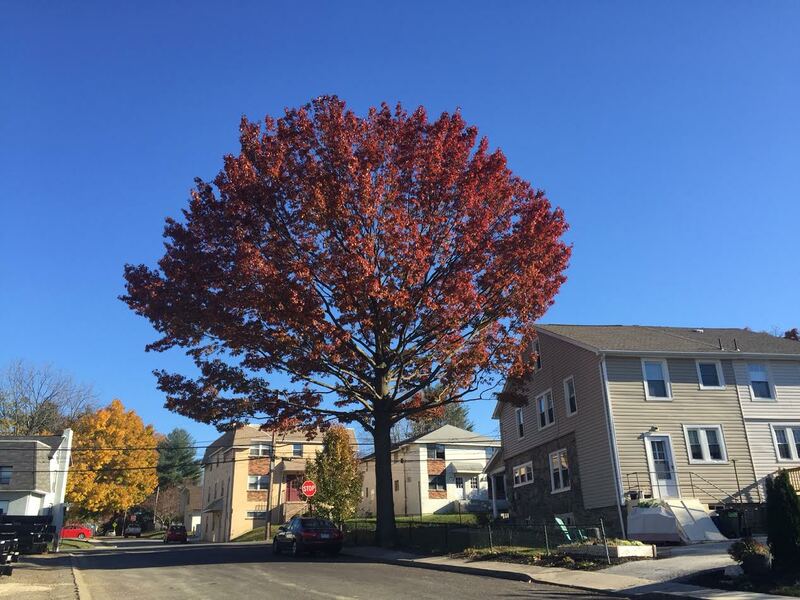 Our favorites include paperback maples, pin oaks, sugar maples, and red oaks (pictured above). However, certain trees can cause more harm than good. They can give off a foul odor, shed nasty seeds and sap, create a haven for pests, or split apart easily during storms. If you have a problematic tree in your yard, you may want to consider having it removed. If you are thinking of planting a tree in your yard, do your research, and avoid trees that will give you issues. Bradford Pear: Many people are drawn to this tree because they produce white flowers that look beautiful in spring. However, the flowers don’t smell too good–they give off a fishy odor. While supposedly a small, decorative tree, bradford pears quickly shoot upwards and outwards, taking over your yard with dense, weak branches. If you look closely at the tree, you’ll notice that all branches stem from a single point on the trunk, a sign of weak structure. At the first sign of a strong wind, your tree will split apart. Female Gingko Tree: These trees are durable and beautiful, but the female trees shed a super sticky fruit during the fall. These fruits will end up all over your yard and things will get messy. While only the female trees produce the fruit, it isn’t possible to distinguish between a male and female gingko while they’re in the seedling stage. Sweet Gum Tree: This tree’s downfall is its spiky brown seed pods. These fall off the tree every autumn, causing a tripping hazard in your yard. They are difficult to rake, so you will need to pick them up by hand, and this isn’t a chore you can safely skip. When it comes time to mow your lawn, they become dangerous projectiles. Mimosa: Another tree that is touted for having attractive blossoms, steer clear of the mimosa. Even though the pink, fluffy flowers look cute in summer, they really only bloom for about 2 weeks. The rest of the year, you’re left with ugly, 6-inch long, brown seed pods. These pods stay on your tree, even after the leaves fall. Worse yet, the pods do their job well. No matter where they land, you will have a mimosa sprouting in no time. The trees die quickly and provide a great home for nasty insects. Also, steer clear from the Tree of Heaven, which we’ve warned our customers about before. These trees create a haven for an invasive pest, the Spotted Lantern Fly. You also want to keep a close eye on Ash trees that may be in your yard. Emerald Ash Borers, an incredibly destructive species of beetle, have been spotted in the area. Deadwooding is the practice of removing dead branches from your tree. 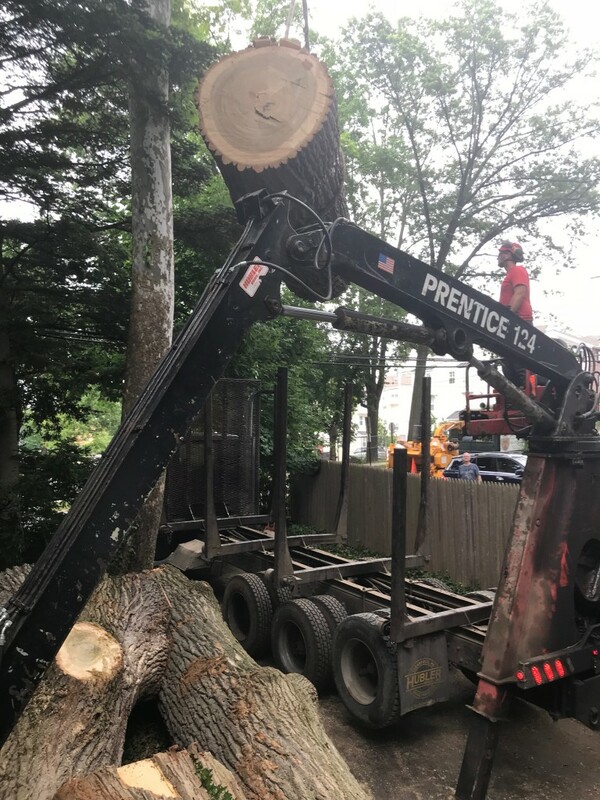 It’s a crucial part of tree maintenance that cuts away loose or dying branches, which are the most likely to be knocked loose during a storm. April and May are good months to take care of this maintenance step, and by the time hurricane and blizzard season roll around, you’ll be glad you did. Spring is the best time to deadwood most trees. 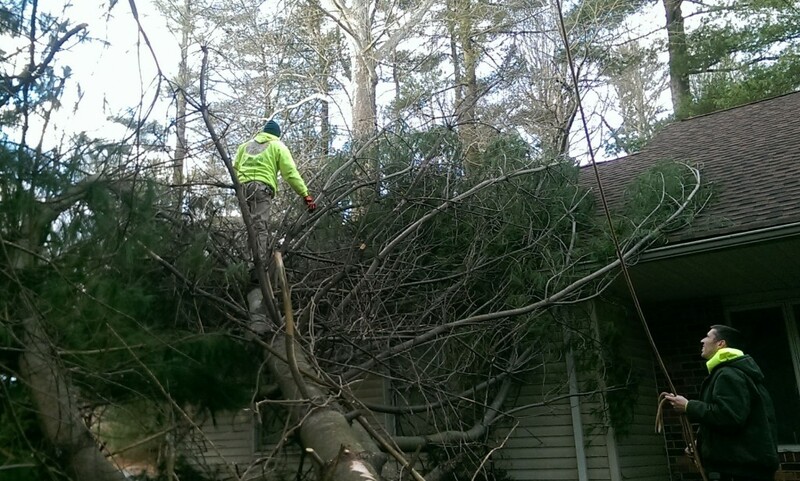 During the nor’easter in March 2018, Mr. Tree cleaned up many uprooted spruce trees, which are a type of evergreen. 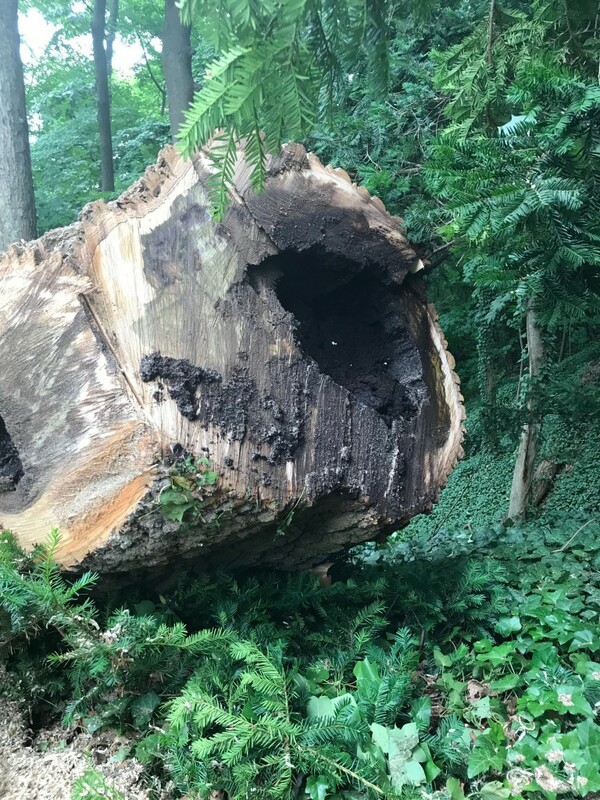 During windstorms, dead branches in such trees can create a sail effect, and their shallow root system makes them vulnerable to be blown down in sodden soil. Thinning your trees in April and May will remove excess growth, reducing this sail effect so your tree is much more likely to survive through those strong winds. Homeowners often have questions about the trees in their yards and what their responsibilities are for taking care of them. What happens if your tree falls on your neighbor’s yard? 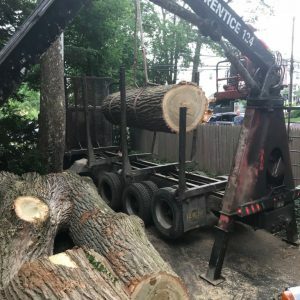 What do you do when your neighbor’s tree extends into your yard, or you want to take down a tree that is between more than one property? Keep reading for answers to these questions and more. Tree ownership is determined by where the trunk is. If the trunk is entirely on one property, that homeowner also owns the tree. What if the tree trunk is on the border of two or more properties? In this case, the tree is known as a boundary tree. Ownership is shared between all the properties that the tree trunk touches. If you want to remove a boundary tree, you cannot legally do so without consent from all the owners. What if a branch from my neighbor’s tree extends over my property? If your neighbor’s tree branch hangs over your property, you may trim the branch, but only up to the property line. If your neighbor owns a fruit tree and the branch extends into your yard, you cannot legally pick fruit off the branch. 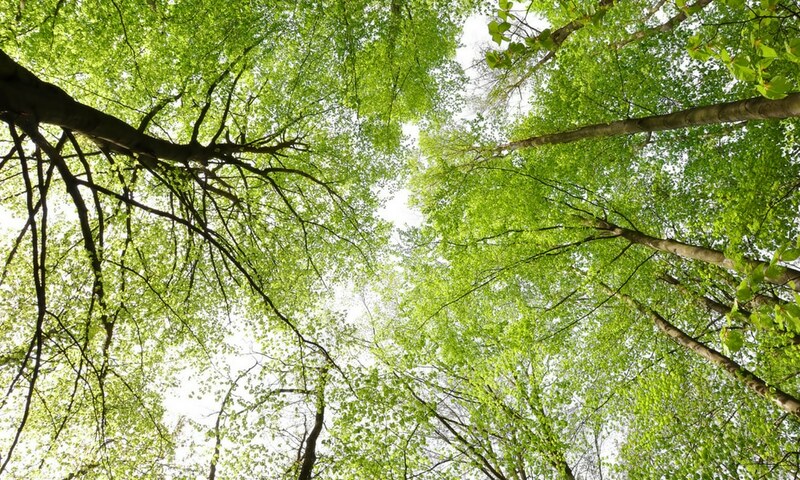 If you cause damage to the tree, you could be liable for up to three times the tree’s value. Most trees are valued at $500-$2,500, but some ornamental or landmark trees cost between $20,000-$60,000. What if my neighbor’s tree leaves keep blowing into my yard? If your neighbor’s leaves blow into your yard, you don’t have grounds for a nuisance claim. Leaves are a natural product, so even if they clog your gutters or pipes, you have no legal claim against the tree’s owner. What if my neighbor’s trees cause damage to my property? If a tree looks like it might fall on your property, contact the property owner and voice your concern. If the property owner does not comply, most cities have ordinances to prohibit property owners from having dangerous conditions on their property. Contact your municipality, and they will likely remove the tree or order your neighbor to do so. 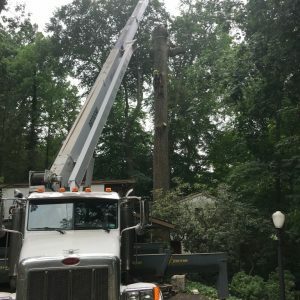 What maintenance is necessary to ensure my trees are safe? You are responsible for the trees in your yard, which means two things: making reasonable inspections and taking care to ensure that the tree is safe. 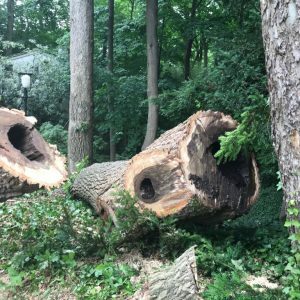 If your tree or a neighbor’s causes damage to someone else’s property, the court will rule whether it was an Act of God, or a result of negligence. All of this will depend on how well the owner of the tree took care of it. It’s important to check out your tree regularly for visual signs that something is wrong. For more advice, check out our 7 warning signs that your tree is about to fall. It’s also important to regulalrly have your tree pruned and deadwooded to keep it healthy and safe. 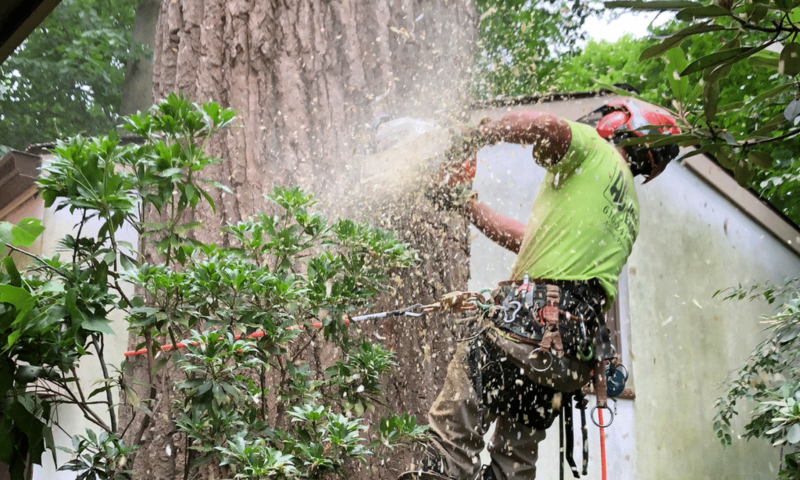 Deadwooding is the process of removing dead or loose branches, which are most likely to be knocked loose during hurricane or blizzard season. April and May are good times to prepare with this service. To get started, call Mr. Tree at (484) 999-0040 or fill out our form online for a free quote.